In piliotise-shop.gr will find a great selection of women's boots, with looks, quality and price that will amaze you. 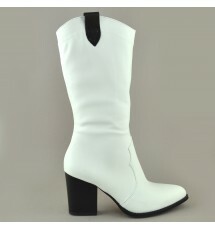 Leather boots and suede boots, flat boots and high-heeled boots are all here in a great variety of colors, materials and at affordable prices. Ladies boots that complement and define your style. Boots for all hours with one click on your feet. 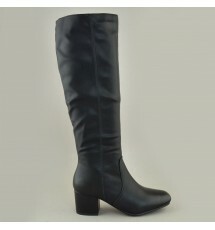 Middle knee boots made of synthetic leather and synthetic suede. 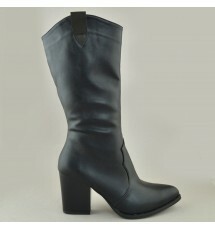 The heel is rubber 6 cm ..
Middle knee boots made of synthetic leather and synthetic suede at the back side. The heel is rubber..
Boots made of synthetic suede. The heel is 5.5 cm ..
Western boots made of synthetic suede, made in Greece. The heels is 8 cm ..
Boots of synthetic leather, with zipper at the inner side. The heel is 5.5 cm ..
Boots of synthetic suede, that goes up in the middle of the knee. The heel is 5.5 cm ..
Boots of synthetic suede, with zipper at the back. The heel is 9 cm ..
Boots of synthetic suede until the knee. The heel is 3.5 cm rubber. ..
Boots of synthetic suede, with zipper at the inner side. The heel is 8 cm ..
Boots of synthetic leather and synthetic suede. The heel is 8 cm ..